In a previous post detailing my time with the EQUATOR Network, I spoke about my work on the STrengthening the Reporting of Observational Studies in Epidemiology (STROBE) statement. STROBE is one of the original “core” reporting guidelines which provides guidance on reporting observational studies. As an overwhelming majority of health research is observational (i.e., not manipulating exposure to treatments, drugs, etc. ), STROBE is arguably one of the most important reporting guidelines. Through instructions to authors and editorial policies, journals can “endorse” reporting guidelines by actions such as requiring authors to submit completed checklists or flow diagrams or by simply suggesting their use, making authors aware of their existence. In the ten years since its creation, STROBE has been endorsed by hundreds of journals and has spawned many extensions for specialised fields. Despite many studies investigating the endorsement of STROBE, there was only one study that looked into the endorsement of a STROBE extension. Therefore, we aimed to assess the uptake of STROBE and seven extensions. We identified 257 unique journals spanning topic areas that were related to STROBE extensions. These journals spanned the fields of antimicrobial stewardship programs (STROBE-AMS), infectious disease molecular epidemiology (STROME-ID), molecular epidemiology (STROBE-ME), rheumatology (STROBE-EULAR), genetic association studies (STREGA), routinely collected health data (RECORD), and response-driven sampling (STROBE-RDS). Only 14% of the 257 journals required or recommended STROBE and an extension was mentioned only 2% of the time. An additional third mentioned STROBE indirectly through vague mentions of support for “relevant” reporting guidelines or support of policies and guidance (e.g., linking to the EQUATOR Network, or recommendations from the International Committee of Medical Journal Editors). 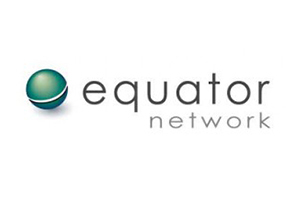 The EQUATOR Network was mentioned explicitly in 15% of journals. Endorsement information was also often scattered throughout the journal websites and given details were often vague. However, there was a silver lining where journals that supported other reporting guidelines for clinical trials (CONSORT) and systematic reviews (PRISMA) were more likely to support STROBE as well. Meaning that once journals were convinced of the need for transparent reporting for one study type, they may be more willing to support more reporting guidelines. Our work highlighted the need for more attention given to the placement (i.e., in the author instructions not in editorial policies) and strength of the endorsement(s). Unambiguous language supporting relevant reporting guidelines is needed to improve adherence to reporting guidelines and increase the quality of reporting. Journals should take advantage of the EQUATOR Network’s resources to facilitate the incorporation of reporting guidelines into their journal submission process. Furthermore, they should take the advice to require rather than simply suggest the use of reporting guidelines as this might lead to improvements in reporting. If you are interested in reading the details of the full study, it is available open access on the Journal of Epidemiology’s website. Additionally, all relevant study data can be found on the Open Science Framework project page. This study was also presented at the European Public Health Association meeting and it is a recipient of a Pre-Registration Award from Open Science Framework (OSF).